Our goal is to connect people with the best local experts. We scored wedding photographers on more than 25 variables across five categories, and analysed the results to give you a hand-picked list of the best wedding photographers in Englewood, CO.
A Reason To Smile Photography is a wedding photography service located in Denver, CO and has been providing superior wedding and portraiture services to customers in Denver and the surrounding communities for more than a decade. A Reason To SmilePhotography specializes in weddings, engagements, lifestyle photos, family, children's portraits, commercial style photography and much more. A Reason To Smile Photography offers personalized and exceptional angles and posing assistance for brides, grooms, and portraiture subjects, guaranteed to ensure maximum comfort, satisfaction, and photographic results. A Reason To Smile Photography offers both in-studio and outdoor sessions, provides various packages and prices to suit most budgets and happily accepts inquiries and reservations from new customers. Bob Sullivan Photography has been a Denver wedding photography service for over 25 years. Couples hire the group for high-end wedding photos with an artistic flair and professional enhancement, and the photographer has a reputation for his ability to get those perfect candid shots from the sidelines. Brides and grooms can enjoy a fun, stress-free wedding day full of great shots and appreciate the photographer's patience and calm during the entire event. Interested parties can get a sense of the team's style and approach via galleries on its site and should contact the studio for a free consultation to discuss options, budget, and availability. Photo services are also available for executive portraits and location as well as studio work for corporations. Bobby Joe Photography is a multi-faceted photography service that serves Denver, CO and surrounding areas. Originally focusing on landscape and portraits, Bobby Joe Photography now offers wedding and engagement photoshoot sessions. Bobby, the front man of the privately owned business, is a current photography student at the University of Colorado, but has been dabbling in the art since he was 15. The company provides stunning and artistic captures of wedding days and engagements designed to reflect the characteristics and history of the couples involved. Bobby Joe Photography offers several different packages and displays starting prices directly on the website so new couples can plan their budget more accurately. Colorado Visions Photography, located in Denver, Colorado, has been dedicated to delivering high-quality services for more than a decade. the owner-operated, full-service studio operates with a great focus on customer services and creating a positive experience throughout the entire process. Photographer Brian Walski's two-decade-long editorial and photojournalistic experience has honed his eye for light and style and diversified his approach to capturing different subjects on camera. He specializes in corporate and wedding photography, including architecture, corporate events, editorial, portraits, studios, products ad trade shows. Walski has worked for publications such as Los Angeles Times and Boston Herald, and is also a member of the Professional Photographers of America and the Wedding PhotoJournalism Association. Jessica Christie Photography is a team of photographers specializing in destination wedding photo shoots. 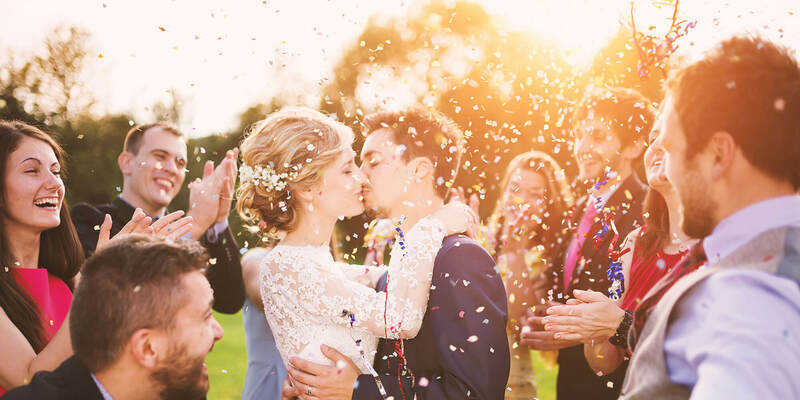 Founded and owned by Jessica Christie, their goal for the last ten years has been to capture the love in each life moment and to remember it for years to come. They currently offer local service to Colorado and California. Contact them for a custom quote for a marriage or elopement abroad. They also offer life portrait photography shoots including maternity, engagement, youth and family portraits. Clients appreciate how professional and fun the team is to work with as well as their fantastic photographs that accurately portray their unique love. Just B Photos, located in Denver, Colorado, is dedicated to providing high-quality photography services that change the way people see themselves. Locally owned and operated by lead photographer Sydney, the business operates with a great focus on delivering a life-changing experience. Being a mother of a daughter, Sydney employs her experience, more than a decade-long, to create images that capture women's natural beauty and hence improve their self-esteem. She specializes in seniors, beauty and wedding photography, as well as custom design work. Sydney conducts an in-depth consultation that helps her better understand her clients' needs. Her laid-back demeanor lets clients relax and feel at ease in front of the camera. Kent Meireis Photography is an award-winning destination wedding photography company serving Denver, CO and surrounding areas, as well as beyond. Kent Meireis, the owner and operator, grew up in Wichita, KS where he went to the University of Wichita and later moved to Denver to become a photojournalist working for the news. There, he won multiple awards for his action-packed photography and was twice nominated for a Pulitzer Prize. This experience in the field of photojournalism is what gives Kent Meireis Photography its powerful and unique story-telling style. Kent Meireis Photography captures emotional moments as they happen and offers stunning on location shooting for weddings in the Colorado mountains, Colorado Springs, Aspen, and more. McBoat Photography, located in Denver, Colorado, has been dedicated to providing high-quality, expansive services that take care of people's photography needs for more than a decade. Lead photographer Shameka sees it as her vocation to express people's stories and help them capture stolen moments. She has a passion for reflecting cultures' diversities through her work. Shameka has a great focus on giving back to her community. McBoat Photography offers a wide range of services, including weddings, engagement days, boudoir sessions, Mitzvahs portraits and celebrations, families, portraits, corporate and editorial. All procedures are carried out with a great focus on clients' needs and can be strictly personalized. Sergio Vassio Photography captures wedding day memories and special events from all over the world. Vassio has more than a decade of experience in the profession. Based in the Denver area, he employs photographers in Canada, the Caribbean, and the Bahamas to maximize the studio's international reach. Vassio has branched out into videography as well. His wedding package includes it as an option as well as digitally enhanced images to go with the high-def, ready-to-print files. In addition to weddings and engagements, Vassio does family sessions and baby's first photos. Galleries, contact information, and specialty photo albums are available through the studio's website. Sun and Salty Air Photography by Gina Burg specializes in capturing precious life moments that become treasured family heirlooms. The Boynton Beach-area photographer has been carefully crafting distinctive portraits for clients over the past 15 years. She brings a fresh approach using a combination of fun colors, romance, and creative lighting to create one-of-a-kind works of art. Discerning clients with the most exacting standards trust the photographic specialists to provide a unique perspective and artistic style that appeals to a range of needs and tastes. The Wedding Wire Couples’ Choice Awards recipient enjoys an excellent reputation for creating timeless portraits featuring newborns, expectant moms, engaged couples, and wedding memories.